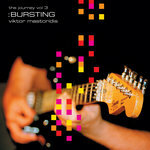 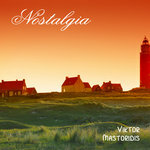 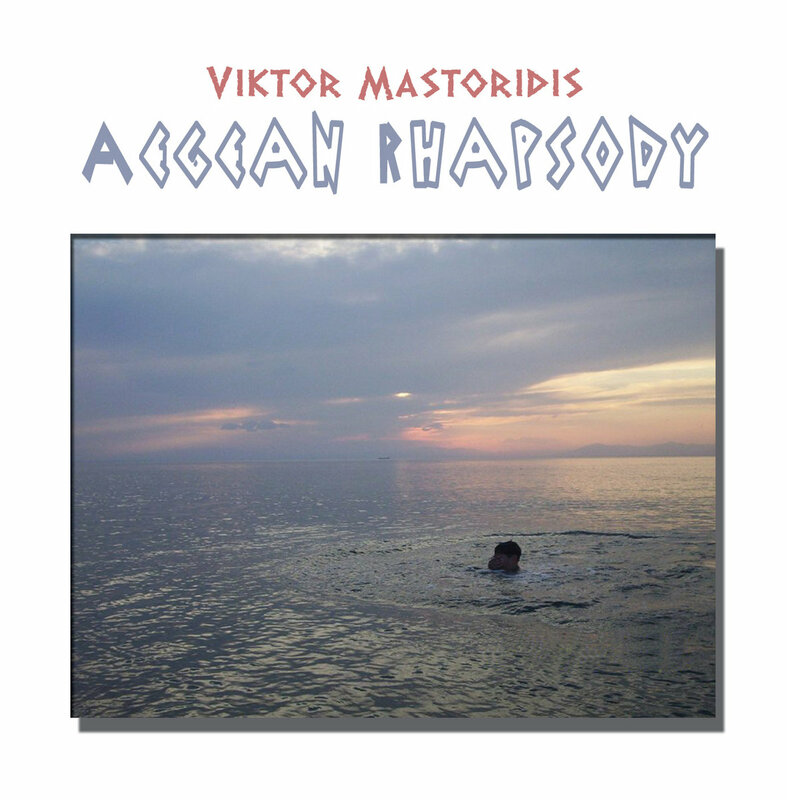 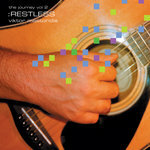 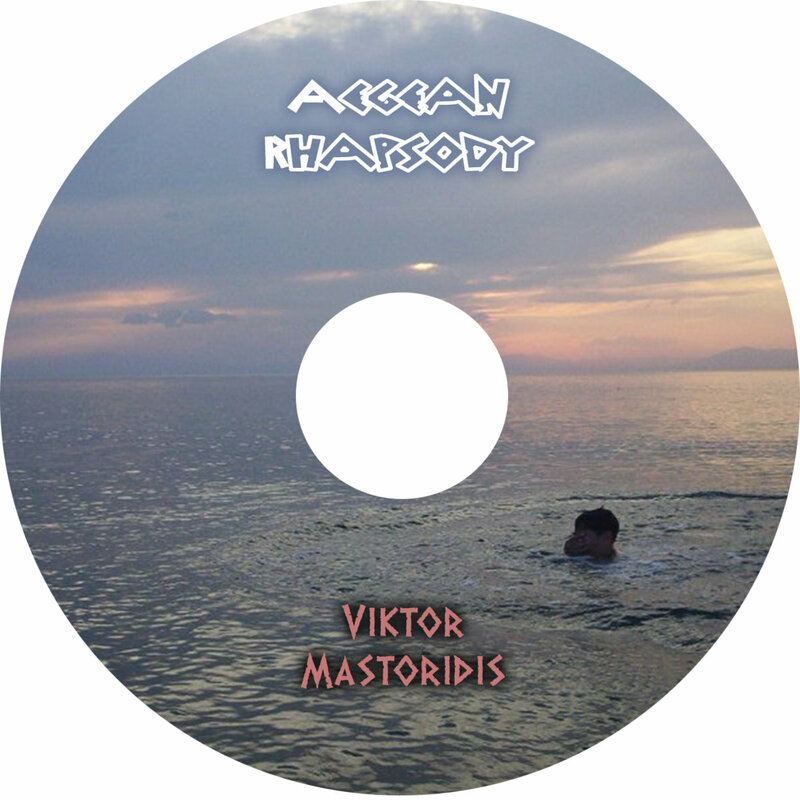 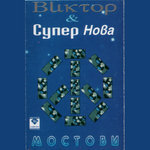 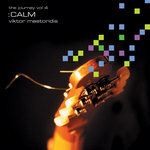 Aegean Rhapsody is an album of Greek and Mediterranean World Music released by Viktor Mastoridis in 2007. 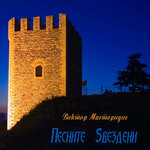 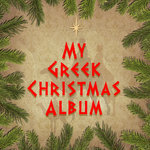 It contains 14 tracks: 4 songs in English and Hebrew; and 14 instrumentals featuring bouzouki and baglamas (Greek musical instruments) and acoustic & electric guitars. 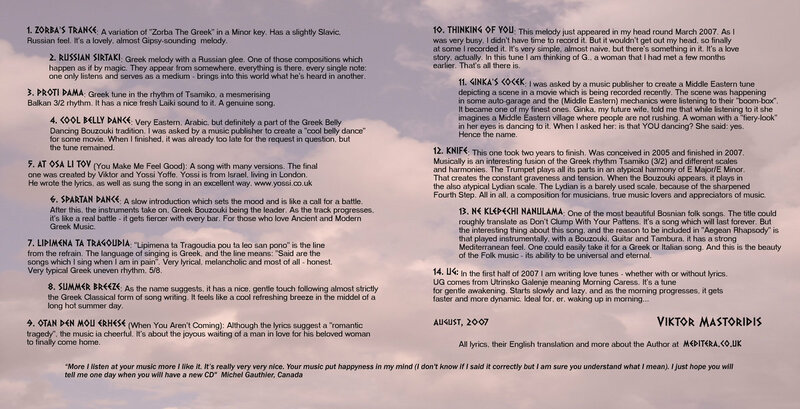 By mood it's a summer music album. 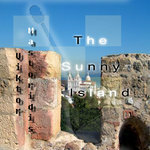 It depicts pictures of sea horizons, blue skies, Mediterranean sunshine and lightness of existence. 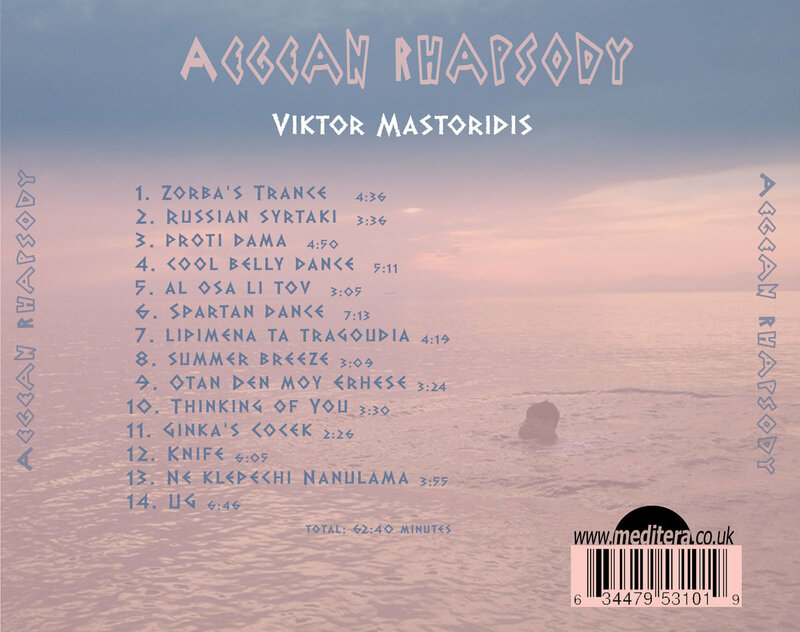 The acoustic plucked-string instruments take the listener through moods ranging from Sirtaki dance in a taverna somewhere in Greece to a Belly Dance night-club in coastal Egypt.